Have you ever dreamed about designing your own jewelry? If so, you are going to love Easy-Earrings.com which is a website that allows you to design your own beautiful earrings which will be custom made to your specifications. This company takes pride in using high quality materials including gemstones, sterling silver, Swarovski crystals, pearl beads and beads. In fact, there are over 300 different bead styles and 13 earring styles to choose from so the possibilities are virtually endless. I was very impressed with the attractive pricing of these customized earrings which ranges from $19.89 to $39.78 per pair and the quality of the earrings that I designed is excellent. I had so much fun designing three pairs of earrings at Easy-Earrings.com and it is literally “easy” to create your own custom earrings. The only problem that I experienced is that there are so many fabulous possibilities that I wanted to keep designing. The online process of creating your earrings is very user friendly…..simply select the earring design and then start choosing the beads. You can click on the bead styles you like and drag to the earring image on the screen. Once you have finalized creating your perfect pair of earrings that is it…….your pair will be custom made just for you! I love that you can see a representation of the earring prior to purchasing it and my finished earrings were an exact replication when it arrived. When you have a special outfit and need the perfect accessories it can be frustrating to find the right match. It is so easy at Easy-Earrings.com to create your own perfect earrings to match your exact specifications. My three unique earrings that were even more beautiful than I imagined when I saw the finished product. I have a dress that has shades of gray and pink and I have never been able to find the right accessory until I was able to make a pair of earrings with a light grey pearl bead accentuated by two smaller fuchsia pearl beads on a diamond drop style earring! I also wear lots of ocean blue colors so I created a second pair using a mix of gorgeous teal and aquamarine colors and beads. 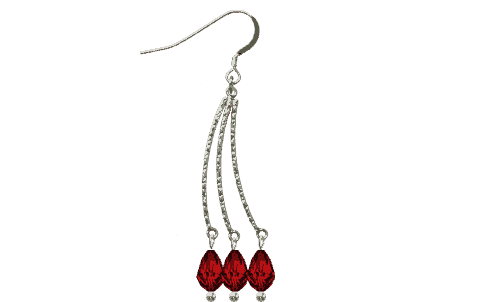 For the holidays, I also designed a beautiful pair of red Swarovski crystal earrings that will be perfect with my red dress. Easy-Earrings.com is such a great concept and I love that the customer designed earrings are high quality and yet still attractively priced. 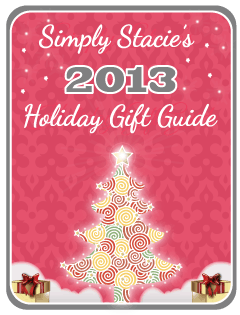 It is also an excellent holiday gift idea for anyone who loves jewelry or design. You are invited to visit Easy-Earrings.com to see how easy it is to create your own customized earrings…..there is no obligation so hurry over to check out for yourself. drop earrings with Swarovski crystals – I’m a sucker for swarovski! Really love the concept! I like making jewelry but have some difficulty “imagining” the final product. This website solves my problem! Thanks for sharing! I’d love to make the 14Kt gold-filled earwire with the Swarovski Pearl,light grey,round-10mm. I would choose model #7 with pink stones. I would make the silver knot and wave with black pearls. I would choose the Gold-finished surgical steel earwire. Swarovski Crystals,green,bicone-6mm. Swarovski Crystal,white,round-6mm. Swarovski Crystal, light-green(peridot), Xilion-bicone, 8mm..
Beads: Sapphire glass, blue, 6mm. Swarovski Emerald Teardrop 9x6mm. Swarovski Teardrop, Indicolite 9x6mm. I would make the sterling silver drop earrings with Swarovski Teardrop, Tanzanite gems. I’d make silver and blue earrings for my niece. I would like drop earrings with pink stones. Drop earrings with a pink stone! So Pretty! Beads: Swarovski Crystal, yellow-sunflower, Xilion-bicone, 5mm Swarovski Crystal,white,round-6mm. Swarovski Teardrop, AB 9x6mm. I made a drop earring with a blue stone on top, 2 red stones in the middle and a white clear stone on the bottom. I like the the 11th earring. When I designed it with the colors I liked my results for Findings is .925 Sterling Silver earwire; .925 Antiqued Sterling Silver Flower Drop with 3 loops. Beads: Swarovski Crystals, blue, Xilion-bicone, 6mm. Swarovski Teardrop, AB 9x6mm. Beautiful sets. I’d leave them like they were! LOVE! I would design the Gold-finished surgical steel earwire; gold-plated steel drop. Beads: Celestial Crystal, yellow, 16-facet, 12x6mm. I would design something I could wear everyday…Probably with green and purple crystals. There are so many choices, I would have to see them to decide. Beautiful! I would make something using Swarovski pearls! I would design the Antiqued Sterling Silver Flower Drop earrings with Swarovski crystals. Lazer Lace with my grandkids birthstones. Findings: .925 Sterling Silver earwire; .925 sterling silver drop. Beads: Swarovski Crystal, green(olivine), Xilion-bicone, 8mm. I would definitely design something with a sapphire! I designed these .925 Sterling Silver earwire; .925 sterling silver drop. Swarovski Crystal, light-green(peridot), Xilion-bicone, 8mm. Swarovski Teardrop, AB 9x6mm. 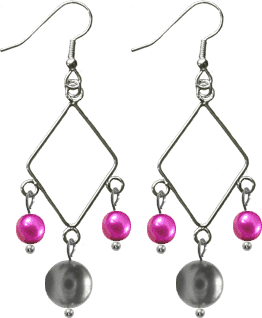 I would design the Silver-finished surgical steel earwire; silver-plated brass drop Swarovski Crystals,red-reound-6mm. Silver-finished surgical steel earwire; Silver-plated brass drop.